We're number zero! We're number zero! : Is There A Problem Here? : We're number zero! We're number zero! We're number zero! We're number zero! @vfxguynz tweets: If this wasnt an error, would being ranked 0th be good, or bad? 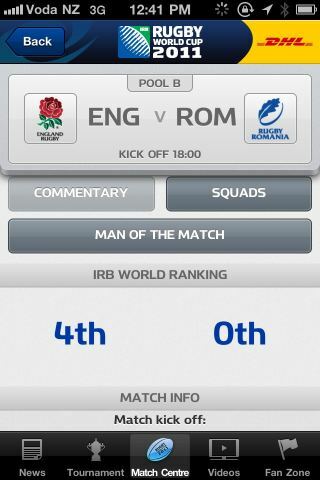 Romania is currently ranked 18th in the IRB World Rankings. What kind of data or software error turns 18th into 0th place?